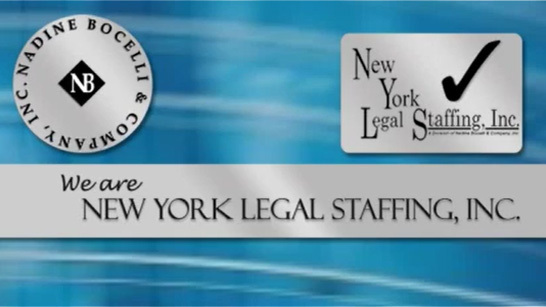 Plaintiff Litigation Associate Attorney – Nadine Bocelli & Company, Inc. – New York Legal Staffing, Inc. Established and expanding midtown personal injury law firm is looking to hire a bright and motivated associate attorney with plaintiff litigation trial experience (personal injury/ medical malpractice/ product liability, etc.). Responsibilities will include all facets of discovery and trial attendance. Must be a member of the New York Bar in good standing. Fantastic group of attorneys. Salary to 190K (negotiable based on experience and expertise) + excellent benefits.